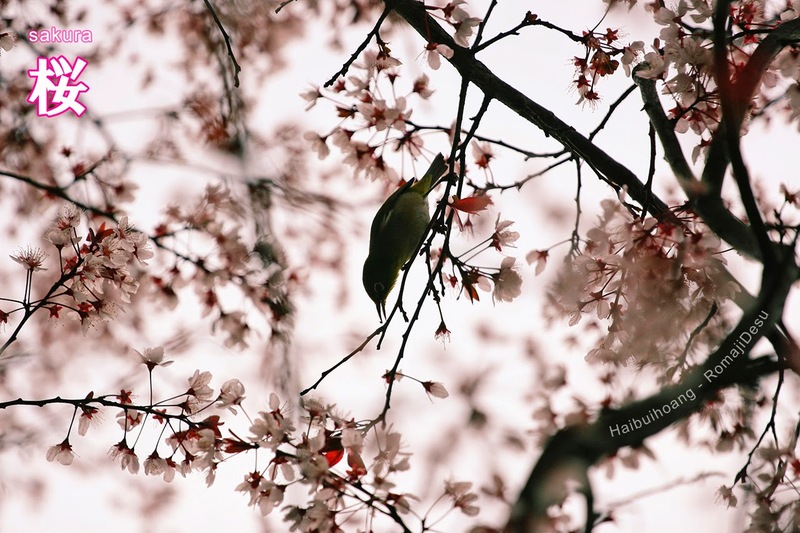 HaiBuiHoang: How to remember the Kanji: Sakura 桜. How to remember the Kanji: Sakura 桜. Has the Sakura (桜) season started in Japan? I took this photo Osaka Castle (大坂城 - Ōsaka-jō) in Sakura season last year. Sadly I am not staying in Japan currently, but I can imagine the pink sakura blossoms start lighting up the country, from the south to the north.